Most media is accessed via streamed or cloud-stored sources nowadays, so many folks have a once-proud CD or DVD collection sitting in a forgotten box. Selling the discs is difficult and throwing them away is terrible for the environment, so why not find an upcycle project that will put them to good use? 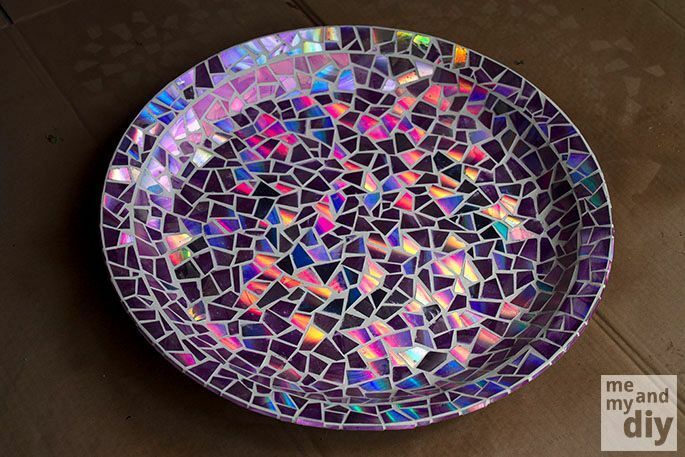 You'd never guess, but this mosaic tray is made out of broken CD pieces. 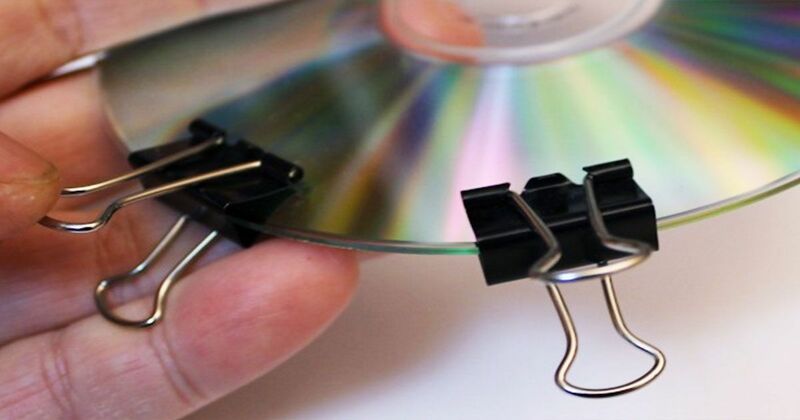 It's such a simple way to upcycle old CDs you don't use anymore. Whether you use the tray to serve drinks on the patio or to display favorite candles in the living room, it's sure to be a wonderful addition to your home. 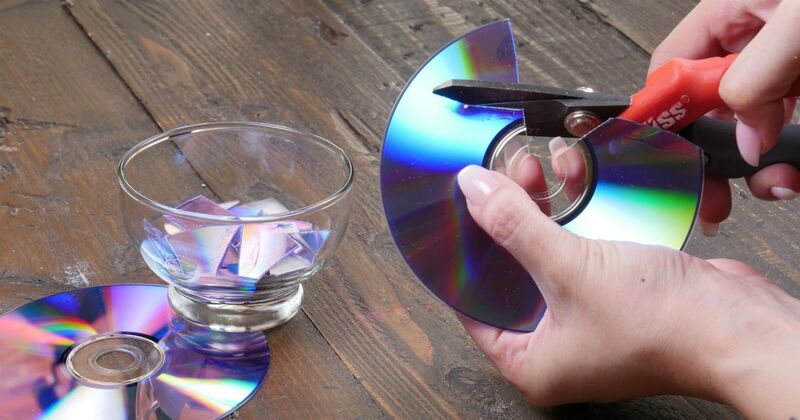 Rescue an old, cracked birdbath or just give one a makeover by using grout to add in pieces of a broken DVD. The shiny disc creates a luminous look that lights up with color when the sun hits it and it's a great way to repurpose unused discs. 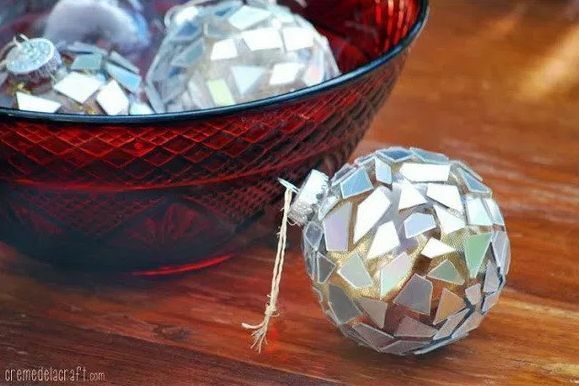 Create these beautiful mosaic ornaments from your old CDs that will be perfect for the holiday season. Want to glam up your old coffee table? 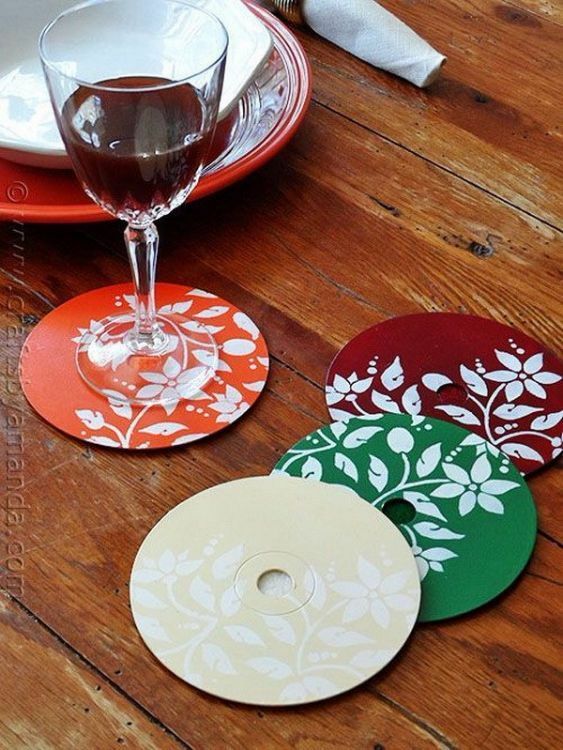 Why not stick CD pieces on the tabletop to create this design. Just add on a glass overlay over the top so that you have a smooth surface. 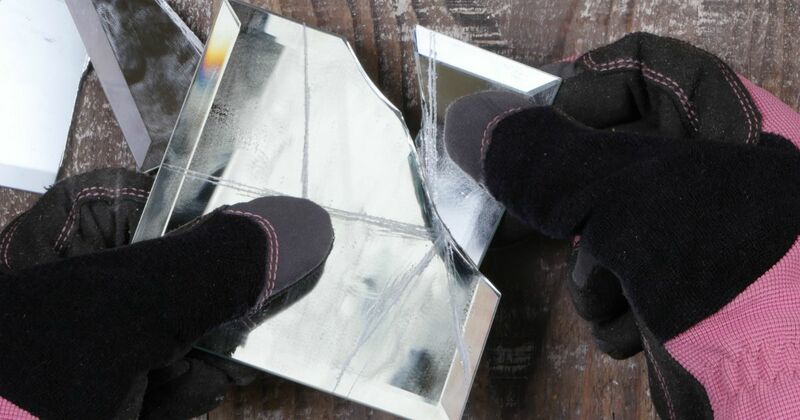 In the video below, we demonstrate this using broken mirror glass, but a CD would work in the same way. Aren't these coasters lovely? What is great about this project is that you can customize the coasters to your own taste. Place them on your coffee table, kitchen, or give them as a gift. 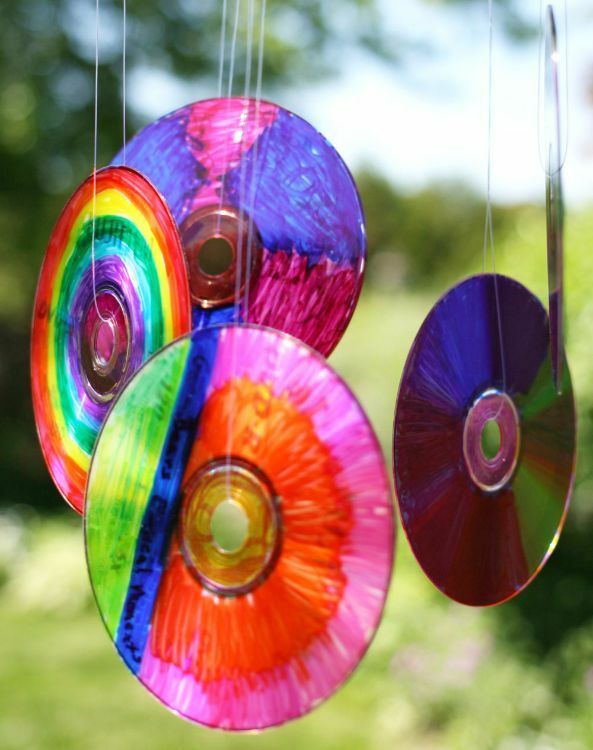 CDs are perfect to use for sun catchers because of their reflective surface. They are also nice and light, making them sway in the breeze. Want a unique kitchen backsplash? 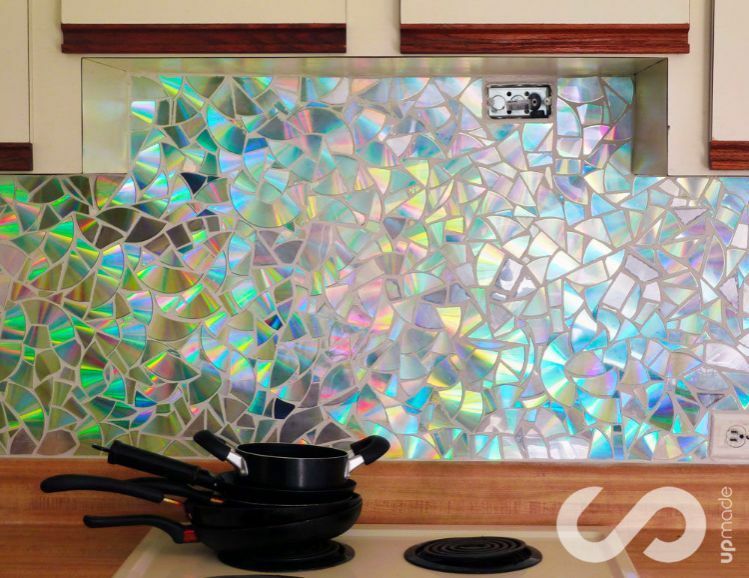 This mosaic CD backsplash will reflect the sunlight and create rainbow colors. How dreamy! Not only is this finished DIY incredibly cool, but the process looks oh-so-satisfyingly fun, too. Do you have an old dresser that’s seen better days? Ever peruse yard sale selections and see random drawers just sitting there? Well, did you ever imagine what you could do with them? Command Hooks are small household products that provides endless opportunities for getting creative and organizing. When it comes to keeping chaos at bay, a Command Hook has the versatility to do the trick.